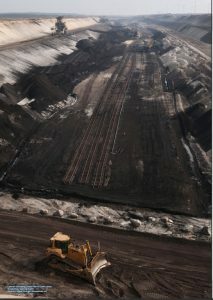 The long-term temperature goal adopted under the Paris Agreement of holding temperature increase to “well below 2°C above pre-industrial levels and pursuing efforts to limit the temperature increase to 1.5°C above pre-industrial levels” requires a rapid decarbonisation of the global power sector and the phase-out of the last unabated coal-fired power plant in the EU by around 2030. 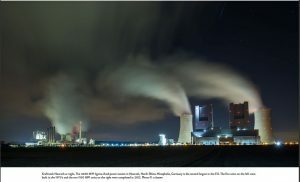 While moving away from coal is required to achieve the transformation in line with the Paris Agreement long-term temperature goal, a fast coal phase-out strategy in the European Union represents not only a necessity but also an opportunity when considering other policy goals beyond climate change. There are numerous alternatives to coal and their development is gaining momentum, many bringing benefits beyond emissions reductions, such as cleaner air, energy security, and distribution. Currently hard coal and lignite jointly provide over a quarter of electricity generated in the EU. While the EU has achieved significant reductions in coal use for other purposes in the last decades, reductions in the use of coal in power plants were more modest at 11% below 2000 levels in 2014. However, the importance of these fuels varies significantly across the member states. Just two states – Germany and Poland – are jointly responsible for 51% of the EU’s installed capacity and 54% of the emissions from the coal-fired power plants but seven others have no coal-fired power plants in their electricity mix. There is an increasing disparity between EU member states in their approach towards the future role of coal. While some have significantly decreased their power production from coal in recent years and announced phasing out coal completely in the coming 10-15 years (e.g. the UK, Finland, France), others are building or planning to build new coal-fired power plants (e.g. Poland, Greece). While the role of coal has been decreasing in the European Union electricity mix, a much faster coal phase-out is necessary to remain within a Paris Agreement-compatible emissions budget for coal in the electricity sector. We have calculated this budget to be around 6.5 GtCO2 by 2050. Should existing coal-fired power plants continue their operation as planned, this CO2 emissions budget will be exceeded by 85% by 2050. If CO2 emissions from planned and announced plants are added, cumulative emissions will be almost twice as high as the coal emissions budget. To stay within the Paris Agreement temperature limit, a quarter of the coal-fired power plants already operating in the EU would need to be switched off before 2020; a further 47% should go offline by 2025. If the EU is to meet its commitments under the Paris Agreement, any investments in new plants and most investments in existing power plants will not be recovered by investors. This report and its associated webpage: climateanalytics.org/hot-topics/eu-coal-phase-out.html present two scenarios for phasing out coal. Our first approach, the Regulator perspective, aims to phase out plants with the highest emissions intensity first. In our second approach, the Market perspective, the economic value of the plant is prioritised over its emissions intensity. Both approaches yield a phase-out of coal by 2030, which is in line with the Paris Agreement, and differ only in the order in which coal power plant units go offline. 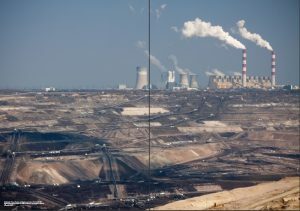 While both perspectives mean strictly the same for the environment, the Regulator perspective may better reflect what could happen in reality as countries phase out coal through a mix of regulations both at the EU as well as at the national level. The main differences between the Regulator and Market perspectives concern Poland, Czech Republic, Bulgaria and Denmark. Under the Market perspective, Poland and Denmark would have to shut down most of their plants by around 2025. Under the Regulator perspective some plants can stay online until the end of the decade before shutdown by 2030. In Czech Republic and Bulgaria, a large part of the total capacity needs be shut down already around 2020 under the Regulator perspective, showing the high emissions intensity of plants in these countries. In Germany, a similar amount of capacity would run until 2030 under both the Market and Regulator perspectives, but which specific plants go offline by when differs quite significantly between the two approaches, with different potential impacts on different regions within the country. Regardless of the retirement schedule implemented in the European Union, the coal phase-out needs to be complemented by measures that increase the predictability and decrease the economic, social and environmental costs of the energy transition. This concerns especially regions heavily dependent on jobs in the coal sector. 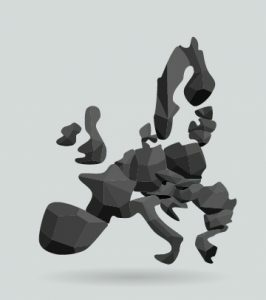 A number of developments and policy instruments at both the national and European level could play an important role in facilitating coal phase-out compatible with the target of the Paris Agreement, however most of them need to be strengthened or scaled up to achieve a fast coal phase-out. One of the most critical developments in the recent years is the significant decrease in the costs of renewable energy sources, which has decreased the cost of a coal phase-out. Even though wind and solar energy come with their own challenges, a number of options exist to cope with these issues. At the same time renewables come with the benefits of being inexhaustible and scalable thus allowing completely new business models and leading to job creation, including in areas which will be affected by coal phase-out. An accelerated energy transition towards renewable energy sources in the EU can be supported by policies such as a more ambitious renewable energy target than currently planned, intensified investment in efficiency and grids or market design reformed to prioritise demand response. The EU-ETS, introduced in 2005, is one of the fagship instruments of European climate policy. However, its effectiveness has been far lower than expected when it was initially introduced and in its present state this instrument does not provide a strong enough incentive to lead to coal phase-out compatible with the Paris Agreement goal. Phasing out coal by regulation is an effective way to achieve emissions reduction targets at a lower cost, while providing stakeholders with certainty to ensure a smooth transition to alternative power sources in regions where coal currently plays an important role. Many European countries have either announced coal phase-out dates or created specific national regulations to achieve this goal. These plans create an environment of certainty for energy sector investors and allow better national planning to avoid strong economic shocks (mostly in terms of regional tax revenue and employment) created by the spontaneous closure of coal power plants due to market forces. Stricter environmental regulations, resulting from e.g. the new Best available technologies Reference documents (BREFs) regulations and the National Emission Ceilings Directive, will decrease the competitiveness of the coal sector. Whereas some power plants may operate after costly retrofitting, additional investments to meet these directives would increase the value of stranded assets and hence the costs of coal phase-out. A clear phase-out schedule would allow for reducing these costs by switching off the more emissions intensive plants first and consequently avoiding the need for retrofitting.